Soho is a modern theme with a minimalist approach, designed for creative companies and individuals. With Soho you can easily create a professional website to showcase your work or services, or have it power your blog. Be it a desktop, notebook, tablet, or mobile phone, Soho has got you covered. 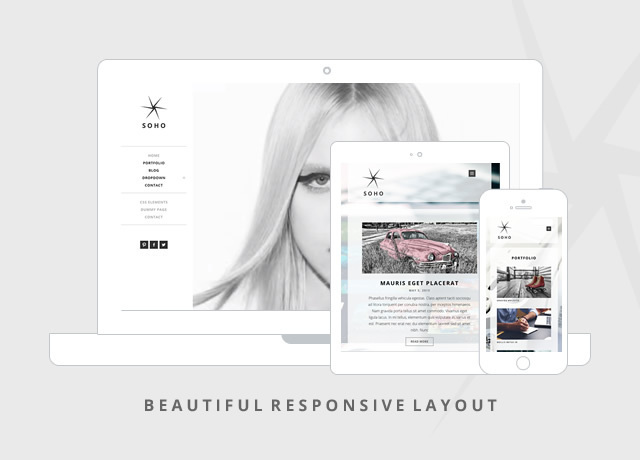 Soho comes with a fluid layout that adjusts to all screen resolutions, making your website easy to navigate. 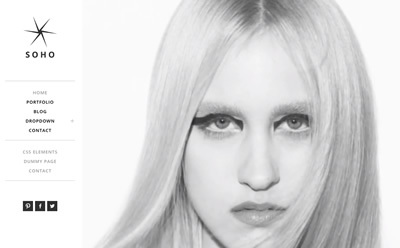 Soho offers the ability to embed a YouTube video or an image slideshow on the homepage. You also have the ability to assign a different image background to each page or post using Featured Images. With four different front page layouts, Soho provides a lot of flexibility. You can choose between a blog, portfolio, static page, or a content-free homepage with full-width video or slideshow. 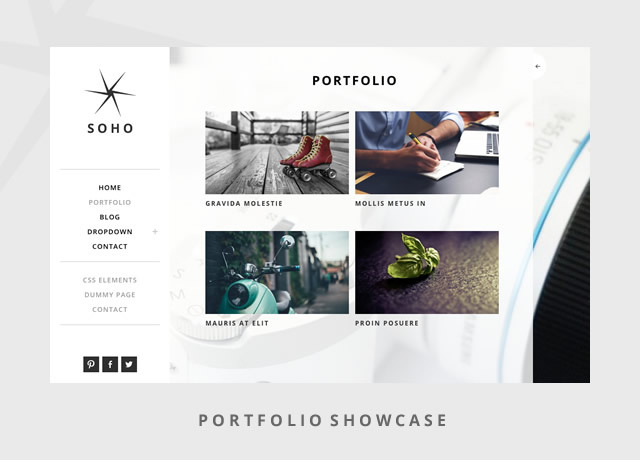 If you need to display your products, artwork, or photography, Soho comes with a portfolio template curated in detail. With its excellent choice of typography and clean layout, your products will stand out from the crowd. Stay connected to all your social media profiles with the built-in Social Links Menu, which supports 28 social media icons. Child theme is the recommended way to modify your theme. Soho enables you to create and activate a child theme with just one click.